Belgium is located in the heart of Europe and hosts most of the major institutions of the European Union. It is a federal country with competence lying in the federal state but also at the level of regions (Flanders, Wallonia and Brussels) and communities (Flemish, French and German-speaking communities). Although most of the aviation law and liability regulations are addressed by laws and regulations adopted at a federal level, the regions are also vested with important competence, notably in regional airports management and environmental issues such as aircraft noise-related regulations. The milestone of Belgian air legislation is the 27 June 1937 Act amending the 16 November 1919 Act regarding the air navigation regulation, and its Royal Decree of 15 March 1954 regulating the air navigation. The 1937 Act (as amended from time to time) provides, inter alia, that any infringement of European Union air regulations will be considered as a criminal offence and those breaching the regulations will be prosecuted. Next to its inclusion in the European legislation as a founding Member State, Belgium has ratified several international conventions in the field of aviation. The country did ratify the 1948 Geneva Convention on the International Recognition of Rights in Aircraft, but has not yet ratified the 2001 Cape Town Convention on International Interests in Mobile Equipment. While it is worth mentioning that the European Union approved the Cape Town Convention and its Protocol in April 2009 with respect to matters specific to aircraft equipment (Decision 2009/370/EC), this has not entailed that the Convention is directly applicable in the Member States (subject to a few exceptions and save, of course, for the Member States that did ratify the Convention). Aircraft are considered as movable goods under Belgian law and as such may not benefit from the mortgage-related rules. Although there is no specific registry with the Belgian Civil Aviation Authority, liens on aircraft can be created through classical pledges and be registered as such. A new set of rules relating to securities on movable assets, recently adopted by the Belgian parliament allows both the constitution of pledges on aircraft without dispossession and their registration in a national and electronic pledge register. The country is also a party to the 1933 Rome Convention for the Unification of Certain Rules Relating to the Preventive Seizure of Aircraft. As regards criminal air law, Belgium has ratified the 1963 Tokyo Convention on Offences and Certain Other Acts Committed on Board Aircraft, the 1970 Hague Convention for the Suppression of Unlawful Seizure of Aircraft and the 1971 Montreal Convention for the Suppression of Unlawful Acts against the Safety of Civil Aviation, and its related Protocol of 1988. The surface damage liability regime in Belgium is essentially laid down in the 1952 Rome Convention. In light of the number and importance of European Union laws and regulations that are directly applicable in Belgium in the field of aviation, this chapter shall only deal with national aspects. 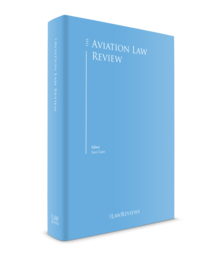 A specific chapter is devoted to European Union law and should be read in conjunction with this chapter for a comprehensive overview on the laws and regulations applicable to the aviation sector in Belgium. the 1999 Montreal Convention for the Unification of Certain Rules for International Carriage by Air. In addition, Regulation (EC) No. 2027/97 of the Council of 9 October 1997 on air carrier liability in respect of the carriage of passengers and their baggage by air, as amended by Regulation (EC) No. 889/2002, also applies in Belgium. Given the size of the country there are no scheduled domestic flights in Belgium. In the view of some authoritative authors, the consequences of incidents involving this type of aircraft or flights would not fall within the Montreal Convention liability regime, but would rather be governed, depending on the circumstances, by the Warsaw Convention regime (whose scope has been extended to intra-Belgium flights by the Belgian Ratification Act), the domestic law on contract of transport or tort law. Passenger rights in relation to compensation for delay, cancellation of flights and carriage of disabled passengers are essentially detailed in the European Union chapter dedicated to these questions. In terms of passenger rights in cases of delay, cancellation and overbooking, the application of Regulation (EC) No. 261/2004 is monitored by the European Commission and national enforcement bodies, which in Belgium is the Directorate-General of the Belgian Civil Aviation Authority. As in some Member States of the European Union, there was a debate around the binding or non-binding nature of the decisions that may be taken by the Directorate-General in the context of the application of the Regulation. In an approach similar to that already taken in other Member States, the Belgian Council of State confirmed, in a ruling dated 3 June 2014, that the Directorate-General has no real power to force airlines to pay compensation to passengers under Regulation (EC) No. 261/2004. The Belgian Supreme Court, seized for the first time with respect to the Regulation, confirmed the Sturgeon ruling of the European Court of Justice on 12 October 2017. As regards passengers with reduced mobility, the Directorate-General of the Belgian Civil Aviation Authority is also in charge of monitoring the application of Regulation (EC) No. 1107/2006 at Brussels Airport. In addition, alongside the provisions of Regulation (EC) No. 1107/2006, disabled passengers are also protected under the principles of equality and non-discrimination pursuant to the Belgian Constitution and the Belgian Act of 10 May 2007 designed to fight against certain forms of discrimination. Passengers travelling on the basis of package tour deals may find additional protection under the Belgian Act of 21 November 2017 regulating tour operators and agency contracts. Finally, general consumer rights can also be found in the Economic Code, which lays down specific provisions regarding market practices and consumer protection. See the European Union chapter of this publication and Section VI, below. Specifications regarding the allocation of the operation licence can be found in Belgium in the Ministerial Decree of 3 August 1994. This Ministerial Decree notably provides (1) that the Belgian Civil Aviation Authority is in charge of delivering, suspending and withdrawing operating licences; (2) that to obtain such a licence, the applicant will need to be either the owner or the lessee of at least one aircraft registered in its name in the Belgian aircraft registry; and (3) that the operator will need to demonstrate that it is sufficiently insured up to the required limits (set forth at EU level). For more detail, see the European Union chapter. In Belgium, the Ministerial Decree of 3 August 1994 provides that to determine whether an air carrier complies with the requirements of European Union majority ownership and effective control, the carrier in question will have to provide the Belgian Civil Aviation Authority with all information concerning the legal status or technical capability of the carrier (and any modification thereof), including the registered offices, the articles of association, the designation of directors and the delegations of power, any project of merger or purchase, the operated fleet and the technical services that maintain it, and the licence and qualifications of the pilots. Pursuant to Regulation (EC) No. 1008/2008 on common rules for the operation of air services in the European Union, Community air carriers have free access, with a few exceptions, to the intra-Community routes. In Belgium, however, the Civil Aviation Authority requests them to notify their scheduled flight routes. Scheduled air services operated by Community carriers to and from outside the European Union are subject to the requirements laid down in the air services agreements signed by Belgium or the European Union and the relevant third countries. In the latter respect, the 18 August 2010 Royal Decree on the designation of Community air carriers and on the allocation of air traffic rights in light of scheduled air services operation between Belgium and non-EU countries sets forth the applicable procedure to be granted the necessary traffic rights and operate such flights. This Royal Decree sets forth the criteria used by the Belgian Administration for the purpose of designating carriers on routes where capacity is limited under the applicable air service agreements: guarantees in terms of long-term continuity of operations, consistency with the airline's business plan, optimisation of the use of the traffic rights, operation of the carrier's own aircraft, interests of all categories of users, opening of new markets and routes, maintaining of a satisfactory level of competition, effects on employment, date of the first request to obtain the traffic rights, etc. The Royal Decree also describes the process to follow to challenge designation of carriers on certain routes. The operation of scheduled air services operated by non-Community air carriers is also subject to the requirements laid down in the air services agreements signed by Belgium or the European Union and the relevant third countries. However, these carriers enjoy, upon certain conditions, the first two freedoms of the air if their country of registration is a party to the 1944 Chicago Convention and the 1944 International Air Services Transit Agreement. Non-scheduled flights may be operated without authorisations within the European Union by Community air carriers. Save for where this question would be specifically dealt with in an international agreement to which Belgium or the European Union would be a party, an authorisation is required for extra-EU non-scheduled flights operated by Community carriers to, from and via Belgium. The same applies to non-Community air carriers wishing to operate non-scheduled flights to, from and via Belgium. These, however, enjoy the first two freedoms of the air, with a few conditions, pursuant to Article 5 of the 1944 Chicago Convention if their country of registration is a party to the Convention. In addition to the above, an operating ban may apply to non-Community carriers (see the European Union chapter for more information). Non-commercial operations and notably operations involving state flights, flights for the carriage of dangerous goods, flights with noise restrictions, air tasks, special flights and public service obligation are subject to other specific requirements and procedures. See the European Union chapter. In Belgium, the Royal Decree of 3 May 1991 regulates the safety of civil aviation (together with several other royal and ministerial decrees) for airports, airlines established in Belgium and incidents. A Royal Decree of 16 December 2005 also relates to the security of non-EU aircraft using Belgian airports. In addition, along with the EU Regulation on Standard European Rules of the Air, the rules of the air are now regulated by the Royal Decree of 19 December 2014. The type and levels of insurance that air carriers and aircraft operators are required to have in place are detailed in Regulation (EC) No. 785/2004 on insurance requirements for air carriers and aircraft operators, as regularly amended. This Regulation applies, with few exceptions, to all air carriers and to all aircraft operators flying within, into, out of or over the territory of a Member State of the European Union. The various legislative provisions regarding insurance in general have been recast in a new Act dated 4 April 2014, which also regulates aviation matters. For the rest, reference can be made to the Belgian Royal Decree of 12 November 2008 setting minimal insurance requirements concerning liability towards passengers for the non-commercial operation of aircraft of which the maximum take-off weight is equal to or lower than 2,700 kilograms. Belgian competition law was redrafted and reorganised by the Belgian parliament in the Act of 3 April 2013, which entered into force on 6 September 2013. This Act does not affect the substantive provisions of Belgian competition law, which reflect the provisions of Articles 101 and 102 of the Treaty on the Functioning of the European Union, except for the (new) possibility of seeking the personal liability of, and imposing administrative fines on, individuals involved in major violations of the rules (such as price-fixing practices) if they act on behalf of undertakings or associations of undertakings. Under the Act, a single Belgian Competition Authority will investigate and decide upon infringements of competition law that affect a Belgian market or a substantial portion thereof. Decision-making powers will be entrusted to a new College of Competition Law Experts (the College). The College is an administrative body and, as such, will be able to appear as a party in appeal procedures before the Court of Appeal. The College will be headed by the President of the Belgian Competition Authority. Investigation powers of the Competition Authority are entrusted to the College of Competition Auditors, led by the Auditor-General. In terms of infringement proceedings, a two-step process is provided for under the Act. First, the College sends the undertaking a letter setting out its concerns: the undertaking will then have a right to access the information and documents based on which the concerns are based, for the purpose of the preparation of its reply. The undertaking will have a minimum of one month to reply after the issuance of the letter outlining the above concerns. Within one month of said reply, the College will prepare a draft decision. As from that moment (which is the second step of the process), the undertaking will have access to the entire file prepared against it and have two months to select the documents relevant to its defence, to add new documents to the file and to file written comments. One to two months after this, a hearing will take place and the College will finally take a decision within one month of the hearing. The Act introduces a settlement procedure, which may be used in the first round of the above procedure. Appeals against the College's decision before the Court of Appeal (of Brussels) remain possible. Finally, in a much criticised move, the Act now also provides that the Belgian Competition Authority will be involved in price-control matters, by being entitled, in certain cases and under certain conditions, to adopt interim measures where there is an urgent need to avoid a situation likely to cause serious, imminent and irreparable damage to undertakings or consumers or likely to harm the general economic interest. Compensation for wrongful death, as for any other loss, is traditionally computed in Belgium according the Indicative Chart published and regularly amended by the Royal Unions of First Instance Judges. The computation system takes into account several criteria to assess the quantum of the loss. Some criteria take into account the revenue of the deceased person, while others are more standardised. For example, the moral damages for the loss of a husband is approximately €12,500. Claims may be settled in Belgium in or out of court. However, claims may be time-barred after a certain period as described below and if brought to court, should respect the forum provided by international conventions or domestic law if applicable. The claimant is allowed to bring to court any party it considers may be liable for the damage claimed. However, the admissibility and the scope of their liability remain subject to the interpretation of the laws by the court. As an example, the possibility to directly sue an airline's insurer may not be accepted in Belgium. If the applicable liability regime is established by an international convention, the scope of damage that can be recovered and the applicable time limit are generally explicitly addressed. In Belgium, the two-year limitation period under the Montreal and Warsaw Conventions is generally considered as not likely to be suspended or interrupted. In addition, Regulation (EC) No. 2027/97 on air carrier liability in the event of accidents provides that Community air carriers will, without delay, and in any event not later than 15 days after the identity of the natural person entitled to compensation has been established, make him or her an advance payment, as may be required, to meet his or her immediate economic needs on a basis proportional to the hardship suffered. The Regulation also provides that such an advance payment cannot be less than 16,000 special drawing rights per passenger in the event of death. 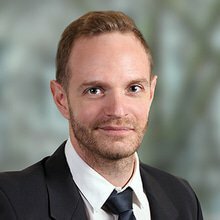 With regard to the liability regime under Belgian law, and without consideration to specific liability regimes, the scope of the indemnification of damage should be distinguished depending on the legal ground of the action. If the action is based on tort, the whole prejudice should in principle be indemnified; whereas in the event of breach of contractual duty, and unless as otherwise agreed, only the foreseeable damage will be compensated. Belgian legislation does not accept penalty damages but provides that, up to a certain amount, legal counsel fees spent in court may be compensated. The time limitation to lodge a claim equally varies according to the way the action is grounded. For a breach of contractual duty, the Belgian Civil Code generally provides that claims are time-barred after 10 years. It is generally admitted that this limit starts running from the day the damage occurred. By contrast, actions based on tort are time-barred within the five years following the next day where the victim has had knowledge of the damage, or its aggravation, and of the identity of the liable person. It is, however, required that action should in any case be initiated within 20 years following the next day where the fact that led to the damage occurred. The regime governing manufacturer's liability is particularly complex in Belgium. The relations between the manufacturer and the buyer will generally be governed by the contractual liability regime; whereas actions introduced by a passenger against the manufacturer will essentially be grounded on tort. Next to this rather classical distinction, the 25 February 1991 Act concerning liability for defective products establishes an additional liability regime. Pursuant to this Act, the manufacturer is liable for the damage resulting from a defect of the product. The burden of the proof of such a defect, of the damage and of the link between these two is, however, to be borne by the claimant. This Act provides that when several parties are liable for the same damage, they remain severally liable in relation to the victim. Besides, the manufacturer's liability cannot be limited towards the victim in situations where the damage occurred jointly as a defect of the product and as a result of a third-party action or omission. Actions initiated on the basis of this Act are time-barred 10 years following the day the product was put into circulation. For the main features of the compensation system, see Section VII.ii. However, personal injury will generally be indemnified pursuant to non-binding indicative tables regularly published and updated by professionals and used by the Belgian courts. In addition, state-funded social security may intervene in the indemnification of a victim of an air accident. The institution, such as any additional third party indemnifying the victim, may be subrogated in some of the rights of the claimants and try to recover the monies paid from the liable party. In pursuit of the concept of 'just culture', a Royal Decree on the reporting of incidents in the aviation sector with a view to improving safety was adopted on 22 April 2005. Within a maximum of 72 hours following the occurrence of the 'event', the latter must be communicated to the Belgian Civil Aviation Authority. The purpose of such reporting is only to improve safety and not to determine the liability that may attach to anyone. The database is anonymous and neither the public prosecutor nor the employer of the person who reported the event may use such information to initiate an action against said person. In the context of aircraft noise emissions, the Court of Appeal of Brussels recently condemned the Belgian state on the ground of Article 8 of the European Convention of Human Rights for the illegal extensive use of one of the runways at Brussels Airport. The same Court also condemned the Wallonia region for its failure to have taken, in a timely fashion, the adequate measures aimed at reducing to an acceptable level the annoyances relating to the vicinity of Liege Airport. With regard to litigation, in May 2018, the Court of First Instance of Brussels acquitted 18 people who were prosecuted with respect to the diamonds robbery that took place at Brussels Airport in February 2013. In addition, fines have been levied against non-EU airlines for not complying with the EU aviation Emissions Trading System. The Belgian wet-lease regime was modified in 2013 and now allows air carriers to wet-lease in aircraft without any restrictions other than those dictated by safety concerns, thereby aligning Belgian law with the provisions of Regulation (EC) No. 1008/2008. Furthermore, the new regime also provides that no prior approval from the Belgian Civil Aviation Administration for wet-lease-out operations is required, regardless of whether the lessee is an EU air carrier. On 10 April 2016 a long-expected regulation was adopted on the use of drones in Belgian airspace. The legislation is rather voluminous and draws a distinction between several categories of drones according to their weight and use. The Royal Decree mainly addresses the questions of rules of the air, licences, training, certification, registration and insurance. The Passenger Name Record Directive has been transposed into Belgian law in a set of rules that entered in force on 1 January 2018. The 2013 Act on the creation and enforcement of security interests in movable assets finally also entered into force on 1 January 2018 with the consequence that pledge over aircraft can now be created without the previous need of transfer of the possession of the aircraft to a third-party holder. This is effected through registration in a national electronic registry. However, the electronic registry still needs to be adapted to meet the industry needs as it remains difficult to verify if there is any recorded pledge over an aircraft or engine with just the manufacturer serial number or engine serial number. A new Act was adopted on 28 March 2014 to introduce a class action procedure in Belgian law. The new procedure is aimed at organising the redress of mass damage suffered by a group of consumers, as defined by the Act, in relation to a limited list of regulations, which include Regulation (EC) No. 261/2004. The Act, which entered into force on 1 September 2014, would therefore enable the introduction of class actions against airlines for flight delays and cancellations, and the case law of the (Brussels) courts that would be seized on that basis will have to be closely watched as it could expose airlines considerably more than in the past. On the legislative front, a consultation process took place at the level of the Belgian Civil Aviation Administration in 2013 and 2014 for the purpose of collecting the views of various stakeholders (mainly airports and airlines) over the new version of a draft royal decree on non-scheduled flights. The adoption of the text is not facilitated by the views that these stakeholders may have on the drafting of the decree, in light of their sometimes conflicting interests. It will be interesting to follow any new developments in that respect. Finally, the impact and reduction of aircraft noise emissions around Brussels Airport is still on the political agenda. 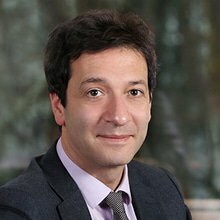 1 Dimitri de Bournonville is a partner and Cyril-Igor Grigorieff is a senior associate at Kennedys Brussels LLP. 2 Belgian Official Gazette, 18 May 2004. 3 See Justice of Peace of Zaventem, 14 October 2010.